Everyone wants to feel that they’ve had a really unique experience when they visit another country. Tourism today can often feel very one-size-fits-all, a list of sights that need to be ticked off the list so you can say you have really ‘done’ the place. But now more and more travellers are seeking experiences off the beaten track, rather than what is included in the Lonely Planet Guide. 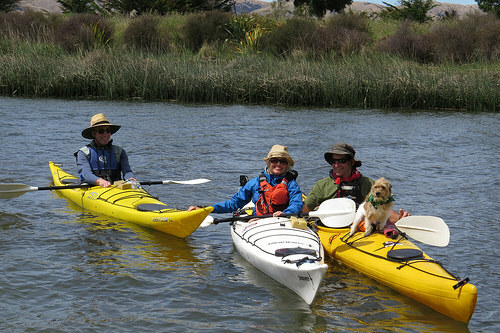 With that in mind, we bring you Driftwood Eco Tours – a way to experience a different side of the Marlborough region. Eco-tourism can involve a wide variety of different outdoor activities, from hiking to boat tours to observing wildlife. What they all have in common is that their operations use sustainable practices to protect the environment. It’s all about leaving as small a footprint as possible, whilst still allowing access to incredible nature experiences. Tourism is a huge source of revenue for New Zealand, and this is projected to increase massively over the next few years. This brings about a lot of challenges, namely how best to protect the country’s unique ecosystem for everyone to enjoy. Otherwise, there can be too much of a good thing. Increased numbers of travelers can mean higher environmental degradation if not managed properly. 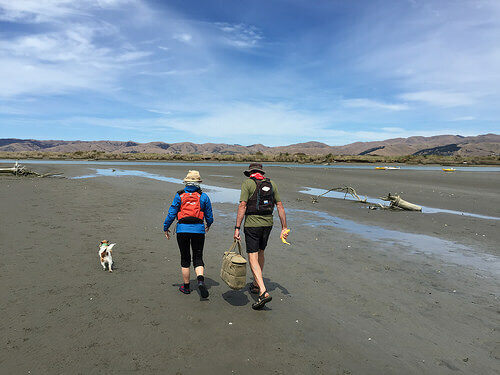 New Zealand has many vendors who are focused on educating travellers about the ecological significance of certain areas, and why they must be preserved for future generations. 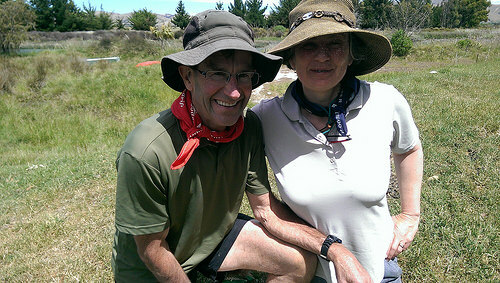 Will and Rose Parsons of Driftwood Eco Tours are 4th and 5th generation Marlborough locals, and just the sort of people we love meeting. Today, we struck gold! Will and Rose specialise in boutique, customised eco-tours in the Marlborough region for photographers and nature lovers. As nature enthusiasts themselves, they are passionate about conservation and preserving the wetlands around Blenheim. They also work closely with the local iwi to preserve the area’s taonga (natural resources). 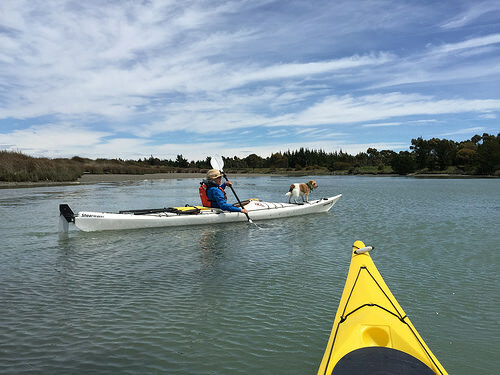 Their effort has led to the local council designating the lower Wairau River as a nature reserve. Well done, guys! 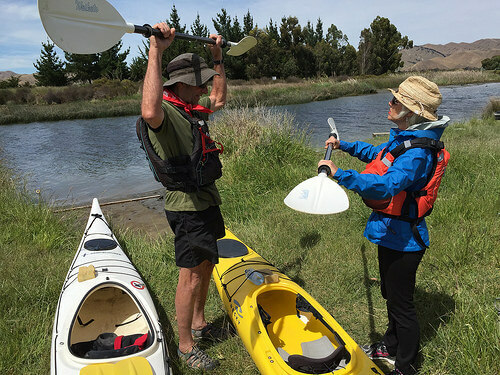 We only had enough time for a 2-hour kayaking tour up the Wairau and Opawa Rivers with Driftwood Eco Tours. This area is just outside of Blenheim so it’s very easy to schedule it into an itinerary of the Marlborough region, on the way to or back from the Marlborough Sounds. Even with its urban proximity, nature is plentiful here; there are over 90 different species of birdlife, and the area is rich in both Maori and European history. But first, this novice needed a kayaking lesson! You’ll definitely see a few of these guys around. 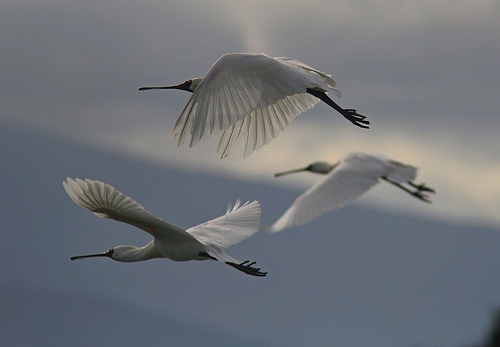 These magnificent Spoonbills have a very distinctive spoon-shaped beak (hence the name!) 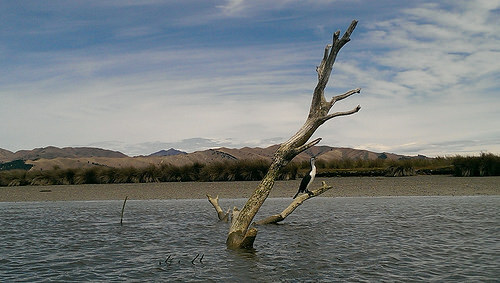 They really love wetlands, so you will likely see them a lot during the South Island portion of your trip. When feeding on fish and crustaceans, the Spoonbills move in unison in a loose choreographed routine that is amazing to watch. They are absolutely beautiful in flight! 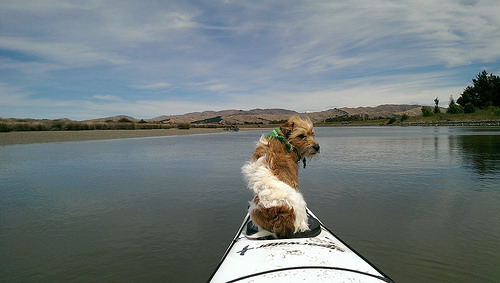 There is another very important member of the Driftwood Eco Tours team who steals the limelight at times. Allow me to introduce the smartly turned out ‘Vix’! Vix is an integral part of the Driftwood Eco Tours operation, and where Will goes, Vix goes. (Usually at the front of Will’s kayak!) 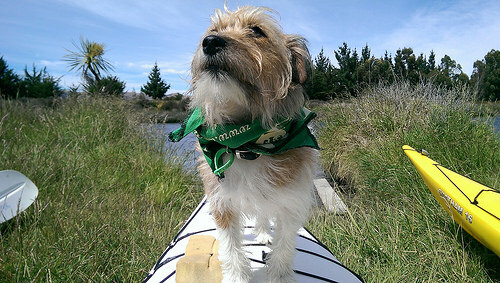 Today, Vix chose me as her bestie and rode at the front of my kayak. But every so often she’d look back to check on her beloved pack leader. Out here in a kayak, you really do feel as though you have the whole world to yourself. Too few of us bother to get close to nature these days! Out on a river, you really do get to see things from a different perspective. It’s so special to glide past the elegant birdlife like this Shag (Cormorant). Close-up flight shots were difficult for me, so this was my best, folks! The air around here is pure and empowering, and it’s so quiet. You can literally hear the sound of your own breathing! Now we have a quick detour to the right…Will’s just pointed out a couple of beauties! Will instructed us to stop our kayaks at an embankment by the mia mia (a sturdy shelter). So we headed off with a mystery lunch bag. Will really is a dab hand at bacon & egg pie, it’s delicious! But I’m a bit reluctant to try those weird little muffins, also made by Will. He’s very proud of them. Would it be rude of me to refuse? But looks are deceiving; they are delicious! 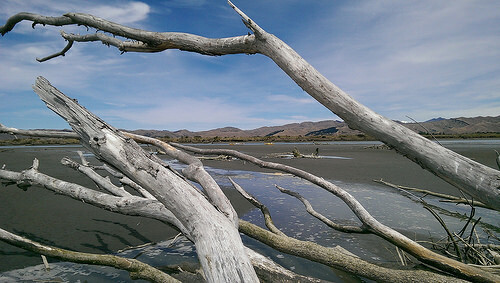 I love the variety of driftwood that makes up the landscape around here. I can see why Will and Rose chose Driftwood Eco Tours for their specialised tour company! It’s everywhere, bleached white and a perfect resting place for the wealth of birdlife. The trip flew by so fast, and I understand why Will’s customers can’t exactly define why their life has been changed by this experience – they just know that it has. What I do know is that it has enriched mine. What this trip shows is that there is far more than wine country to the Marlborough region. 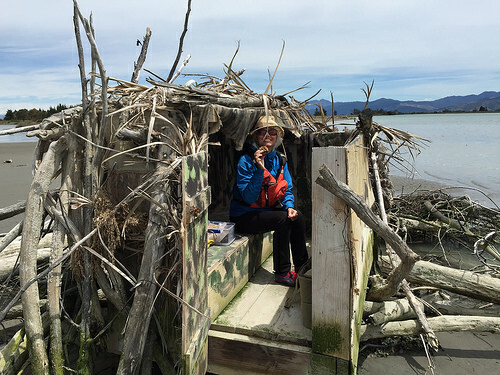 If you are wanting an experience that is a bit outside the traditional tourist activities, check out the Driftwood Eco Tour offerings – you won’t regret it! For other great recommendations for your time in New Zealand, check out our Nature and Lifestyle Itineraries. You are getting SO ‘outdoorsy’! Pam The Adventurer. Not another soul in sight either – how lovely. The moonlight trip must be rather wonderful. getting pretty tough as well. Will offered to pick me up and carry me across a big patch of water.A few months ago I would have accepted, rather than get my feet wet. Not anymore. I brushed him aside and waded in. Ha! Beautifully worded Pam, you’ve told a fabulous story that I don’t even think photos would have done justice. Looks an amazing trip – my list is well off the page now……. more time please! Just makes me realise how much we should celebrate people like this who offer the more boutique and authentic experience. These two locals do it so well.The love they have for their environment shines through. We sure slept well last night!